Enter now the Xbox Canada Contest, in it, you could win a signed limited edition, custom basketball themed Xbox One. Entry to this contest is open only to legal residents of Canada (excluding the province of Quebec) who have reached the age of majority in their province or territory of residence. To enter you have to follow the Xbox Canada official twitter account located @XboxCanada then, find the post promoting this contest and re-tweet it. You can only enter once. This contest closes on October 22, 2018 at 11:59 pm ET. Winner will be selected by random draw from all eligible entries. 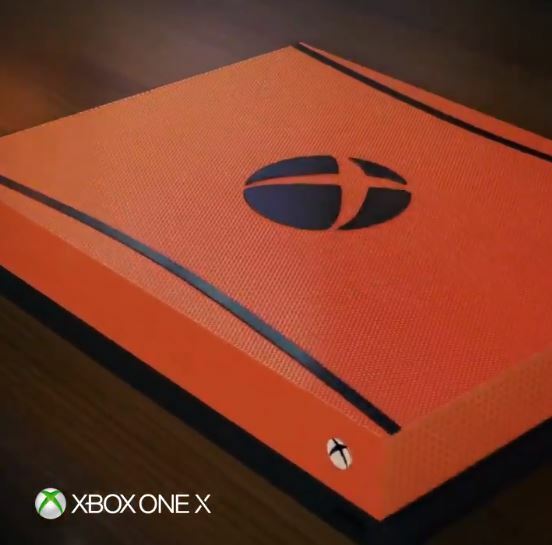 There is one autographed custom basketball themed Xbox One X available to be won. The Xbox Canada Contest begin at 12:00:01 am ET on October 17, 2018 and end at 11:59:59 pm ET on October 22, 2018. The draw will take place on October 23, 2018. Winner will be notified by direct message on Twitter.